The Clarence Darrow Award is nationally regarded as one of the most prestigious and highly coveted in the realm of trial law. 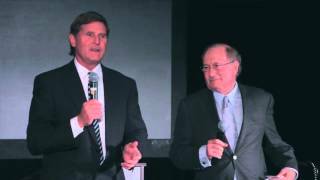 Prominent trial attorney and radio talk show host Mike Papantonio of the Florida law firm Levin Papantonio presented the 2016 award to Stephen A. Sheller, founder of the Philadelphia law firm Sheller, P.C.. The award was also sponsored by "Mass Torts Made Perfect" which hosted the Philadelphia Complex Litigation Judicial Forum March 2-3. One of history’s most well-known civil rights and trial lawyers of the 20th century, Clarence Darrow argued Brown v. Board of Education, which ended racial segregation in public schools prior to becoming the first African American justice on the U.S. Supreme Court. The award was presented March 3, 2016 in an evening program at the Philadelphia Ritz Carlton including a fundraiser for the Sheller Center for Social Justice law student scholarships. Other speakers included Robert F. Kennedy, Jr. Temple Law Dean JoAnne Epps and the Hon. Sandra Mazer Moss (ret. ), now Executive Director of the Sheller Center for Justice. The program concluded with a one-man performance by Montae Russell, "An Evening with Thurgood Marshall." From Temple University School of Law: The Sheller Center for Social Justice at Temple University Beasley School of Law, created in 2013 by a generous gift from Stephen and Sandra Sheller, is a hub for social justice inquiry and advocacy. 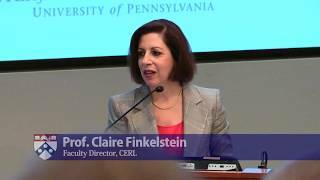 The Center’s faculty, staff and affiliated faculty work with law students, the Law School’s other legal clinics and experiential programs, others at the University, community organizations, and external partners to seek justice for disadvantaged populations in Philadelphia and across Pennsylvania. For more information, visit Sheller.com. 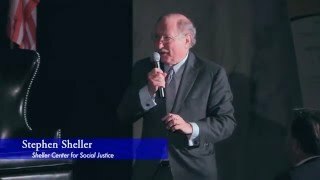 Attorney Stephen Sheller remarks on Temple University's Sheller Center for Social Justice after receiving the Clarence Darrow Award, which is nationally regarded as one of the most prestigious and highly coveted in the realm of trial law. 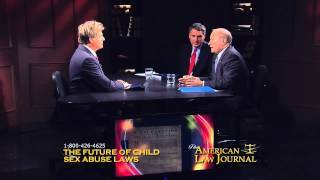 Prominent trial attorney and radio talk show host Mike Papantonio of the Florida law firm Levin Papantonio presented the 2016 award to Stephen A. Sheller, founder of the Philadelphia law firm Sheller, P.C.. The award was presented March 3, 2016 in an evening program at the Philadelphia Ritz Carlton including a fundraiser for the Sheller Center for Social Justice law student scholarships. Other speakers included Robert F. Kennedy, Jr. Temple Law Dean JoAnne Epps and the Hon. Sandra Mazer Moss (ret. ), now Executive Director of the Sheller Center for Justice. The program concluded with a one-man performance by Montae Russell, "An Evening with Thurgood Marshall." From Temple University School of Law: The Sheller Center for Social Justice at Temple University Beasley School of Law, created in 2013 by a generous gift from Stephen and Sandra Sheller, is a hub for social justice inquiry and advocacy. The Center’s faculty, staff and affiliated faculty work with law students, the Law School’s other legal clinics and experiential programs, others at the University, community organizations, and external partners to seek justice for disadvantaged populations in Philadelphia and across Pennsylvania. For more information, visit Sheller.com. 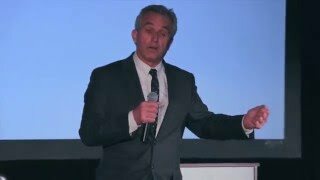 Robert Francis Kennedy, Jr. recounts life stories around Thurgood Marshall and a young Barack Obama. Kennedy, Jr. is an American radio host, environmental activist, author and attorney specializing in environmental law. He is a son of Robert Francis "Bobby" Kennedy, the United States Senator for New York and the 64th U.S. Attorney General, and he is a nephew of U.S. President John Fitzgerald "Jack" Kennedy. Kennedy is President of the Board of Waterkeeper Alliance, a non-profit focused on grass-roots efforts to protect and enhance waterways worldwide. 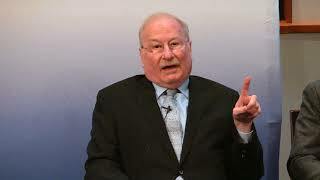 He currently co-hosts Ring of Fire, a nationally syndicated American radio program. These anecdotes were presented March 3, 2016 in an evening program at the Philadelphia Ritz Carlton including a fundraiser for the Sheller Center for Social Justice law student scholarships. Other speakers included Temple Law Dean JoAnne Epps and the Hon. Sandra Mazer Moss (ret. ), now Executive Director of the Sheller Center for Justice. The program concluded with a one-man performance by Montae Russell, "An Evening with Thurgood Marshall." From Temple University School of Law: The Sheller Center for Social Justice at Temple University Beasley School of Law, created in 2013 by a generous gift from Stephen and Sandra Sheller, is a hub for social justice inquiry and advocacy. The Center’s faculty, staff and affiliated faculty work with law students, the Law School’s other legal clinics and experiential programs, others at the University, community organizations, and external partners to seek justice for disadvantaged populations in Philadelphia and across Pennsylvania. For more information, visit Sheller.com. 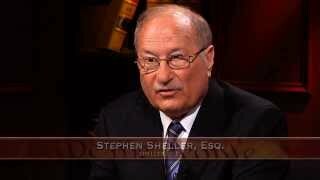 Attorney Stephen Sheller's Career in Litigation. University of Pennsylvania Law School, Oct. 2016. VIEWER DISCRETION ADVISED. 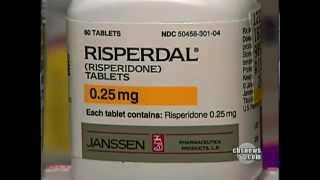 CBS Evening News with Katie Couric discusses Risperdal and the side effects it may cause for children who use it. Risperdal is used as treatment for ADD and bipolar disorder. For more information on Sheller, P.C., visit www.sheller.com. 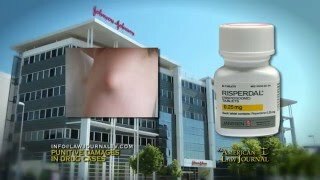 Philadelphia attorneys Stephen Sheller and Tom Kline are taking on Johnson & Johnson (Janssen Pharmaceuticals) on behalf of boys and young men who claim their prescription drug Risperdal® caused gynecomastia, or the growth of female-sized breasts, which in some cases led to surgical removal of the breasts,or mastectomies. In 2013, Sheller, P.C. 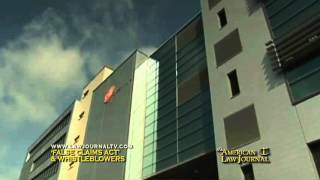 law firm represented pharmacutical whistleblowers which led to a $2+ billion settlement with Johnson & Johnson, the largest single drug civil and criminal settlement in the history of the U.S. qui tam False Claims Act. For more information, visit www.Sheller.com and www.KlineSpecter.com. 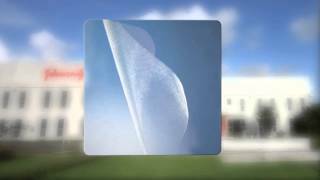 RISPERDAL®: Has your son experienced breast growth while taking this drug? Sheller, P.C. 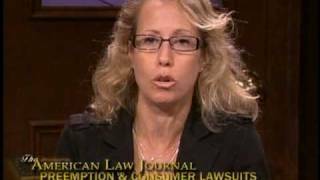 attorneys represent over 100 boys in cases nationwide involving Risperdal® and breast growth in boys. 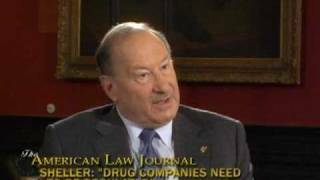 At the first trial, Sheller attorneys(September 2012) negotiated with the pharmaceutical company for a confidential settlement for the client. For more information, visit Sheller.com. 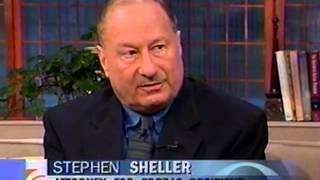 Insider Exclusive Host and Executive Producer Steve Murphy interviews Stephen A. Sheller, Founding Partner of Sheller, P.C. about the evolution of the drug Risperdal® from treatment of schizophrenia and extreme bipolar mania to off-label use in children and the elderly for behavior issues, sleep problems, and other uses, some which later became approved by the FDA. What is the cautionary tale? How are consumers and patients affected by the marketing of antipsychotic drugs? 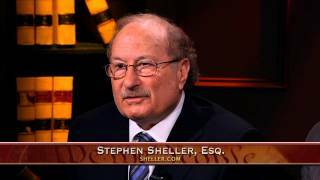 Attorney Stephen Sheller of the Philadelphia law firm Sheller, P.C. 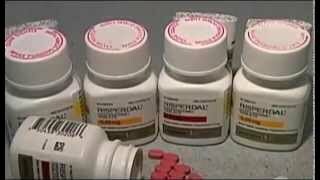 discusses the dangerous side effects of Risperdal®, including gynecomastia (development of breasts in male children). 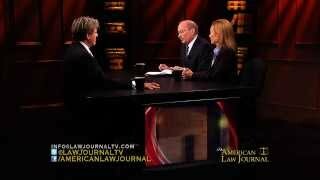 Watch excerpts from CBS News, Al Jazeera English, and The American Law Journal for the full story. 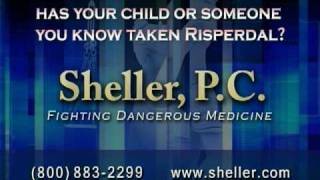 For more information, visit www.Sheller.com/Risperdal or call 1-800-883-2299. UPDATE: Sheller, P.C. has now been the law firm of record coordinating with the U.S. Department of Justice in reaching more than $6.4 billion in whistleblower settlements in the last seven years. Atty. Stephen Sheller of Sheller, P.C. and Atty. Thomas Kline of Kline & Spector have teamed up for Risperdal® cases in Philadelphia. What of the impact of these cases on others throughout the country? For more information, visit Sheller.com. Atty. 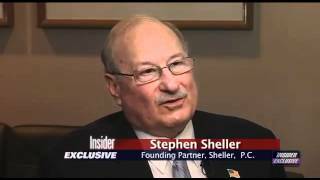 Stephen Sheller of Sheller, P.C. comments on the side effects of taking Risperdal®, and the misinformation and disinformation going out to the public. For more information, visit Sheller.com. UPDATE: Sheller, P.C. has now been the law firm of record coordinating with the U.S. Department of Justice in reaching more than $6.4 billion in whistleblower settlements in the last seven years. Atty. Stephen Sheller of Sheller, P.C. comments on big pharma executives not going to jail, specifically Alex Gorsky with Janssen Pharmaceuticals. For more information, visit Sheller.com. 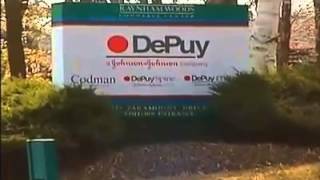 DePuy, a division of Johnson & Johnson, recalls hip implants due to painful side effects. 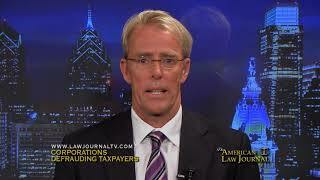 Attorney Jamie Sheller of Philadelphia firm Sheller, P.C. represents some of those effected with these FDA-approved hip implants. For more information, visit Sheller.com. 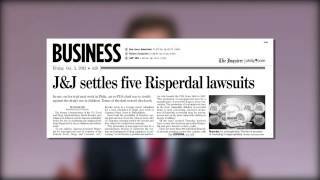 Attorney Jamie Sheller discusses the record $2.5B DePuy ASP Hip Implant settlement. 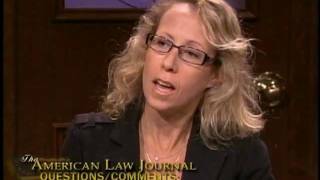 Reporter Stephanie Stahl meets with Sheller and follows up on Sheller's client, interviewed in 2011. 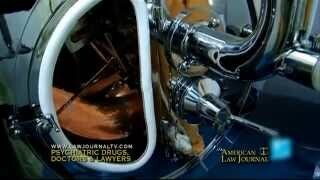 The settlement with DePuy parent company Johnson & Johnson addresses nearly 8,000 lawsuits claiming the defective implant injured patients by reducing their mobility, releasing metal shards and molecules into their blood, and requiring painful and expensive revision surgery to remove and replace the device. Sheller says the settlement does not preclude other patients from bringing action against the manufacturer, in fact, patients who have the device should contact the law firm regardless of current symptoms to protect their health and mobility for the future.Sheller, P.C. represents clients with other hip implant brands, including Stryker and more. For more information, visit Sheller.com. Atty. 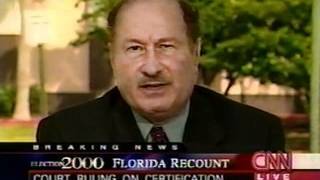 Stephen Sheller, representing Al Gore, comments on the 2000 Presidential Election Florida ballot recount during a live CNN broadcast with Greta Van Susteren. From November 2000. For more information, visit Sheller.com. Atty. 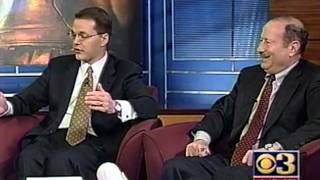 Stephen Sheller, representing Al Gore, comments on the 2000 Presidential Election Florida ballot recount during a live debate on KYW News. From November 2000. Please excuse the poor audio/video quality of this footage. For more information, visit Sheller.com. Prozac was mailed to a consumer from Eli Lilly without her knowledge or consent. The consumer's medical history had been "sold" to Eli Lilly, and Atty. 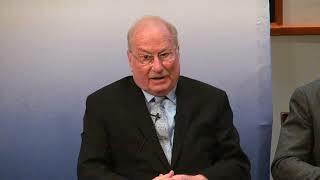 Stephen Sheller says it is drug marketing run amok. From July 2002. Please excuse the poor audio/video quality of this footage. For more information, visit Sheller.com. 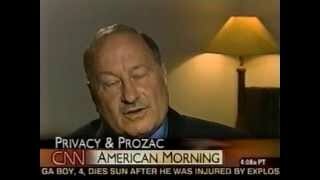 Prozac was mailed to a consumer from Eli Lilly without her knowledge or consent. The consumer's medical history had been "sold" to Eli Lilly, and Atty. 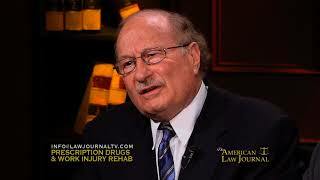 Stephen Sheller says it is drug marketing run amok. From July 2002. For more information, visit Sheller.com. 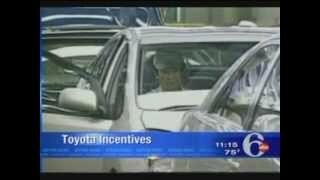 Attorney Stephen Sheller comments on the 138 Class Action Lawsuits filed against Toyota. 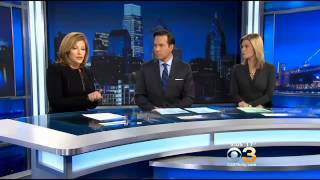 Courtesy Philadelphia ABC Action News. For more information, visit Sheller.com. 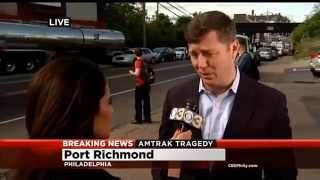 CBS News reports on Former Congressman Patrick Murphy as he shares his experience on board the Amtrak train which derailed on May 12 in Philadelphia. For more information, visit Sheller.com. 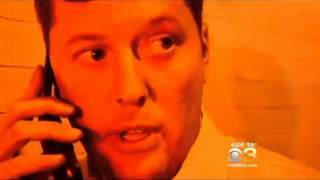 Philadelphia CBS News reports on Former Congressman Patrick Murphy sharing photos and details from inside the wreckage of the Philadelphia Amtrak derailment. For more information, visit Sheller.com. Atty. Stephen Sheller of Sheller, P.C. comments on children taking Risperdal or Abilify. For more information, visit Sheller.com. Atty. 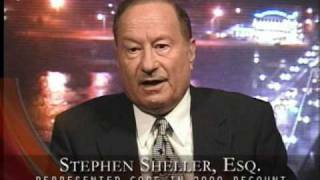 Stephen Sheller of Sheller, P.C. 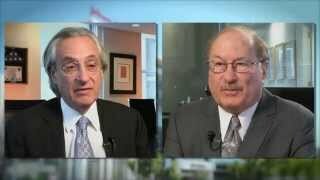 comments on your right to sue regarding generic drugs vs. brand-name drugs. For more information, visit Sheller.com. UPDATE: Sheller, P.C. has now been the law firm of record coordinating with the U.S. Department of Justice in reaching more than $6.4 billion in whistleblower settlements in the last seven years. Increasingly, doctors are prescribing antipsychotic drugs for Bipolar Disorder and Attention Deficit Disorder diagnoses in youths. Recently the FDA approved the antipsychotic drug Risperdal for kids. 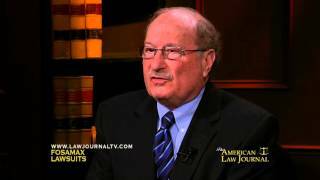 If a child suffers adverse effects as a result of these prescriptions, will plaintiffs' attorneys prevail? 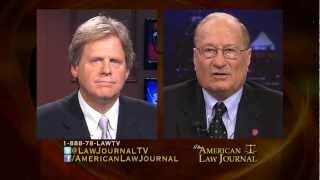 Or do recent developments in the law provide greater "cover" to potential defendants? For more information on Sheller, P.C., visit www.sheller.com. Atty. 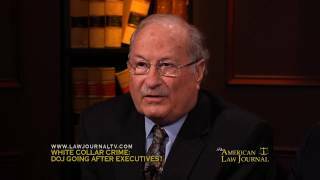 Stephen Sheller of Sheller, P.C. 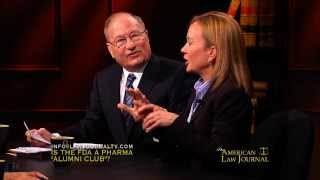 comments on the future of pharmaceutical companies and our own FDA. For more information, visit Sheller.com. Atty. Stephen Sheller of Sheller, P.C. addresses a possible conflict of interest with key personnel within the FDA. For more information, visit Sheller.com. Atty. Stephen Sheller of Sheller, P.C. 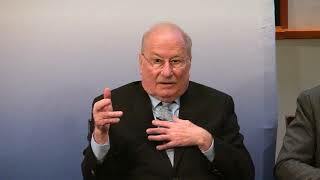 discusses children, doctors, and pharmaceutical companies that pay the physicians to prescribe their drugs. For more information, visit Sheller.com. Atty. 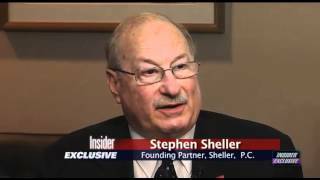 Stephen Sheller of Sheller, P.C. 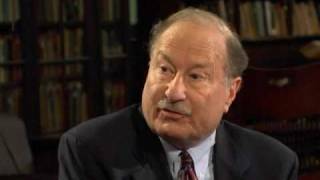 discusses physicians receiving monies from pharmaceutical companies, specifically Dr. Joseph Biederman of Harvard University. For more information, visit Sheller.com. Atty. Stephen Sheller of Sheller, P.C. 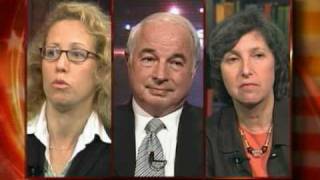 comments on dangerous drugs and their effect on Medicare and Medicaid. For more information, visit Sheller.com. Atty. Stephen Sheller of Sheller, P.C. 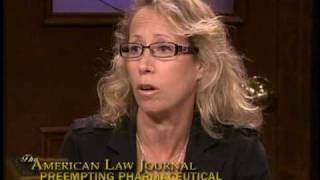 discusses the FDA Pediatric Advisory Committee and safety studies for the pharmaceutical drug Risperdal. For more information, visit Sheller.com. Attorney Stephen Sheller talks of the responsibility of the higher education system to protect students and the public. For more information, visit Sheller.com. Jamie Sheller, Esq. of Sheller, P.C. 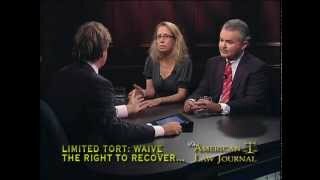 discusses why consumers need auto insurance with full over limited tort, to protect their right to sue. For more information, visit Sheller.com. Atty. Stephen Sheller of Sheller, P.C., comments on the Supreme Court and their respect for the rights of individuals. For more information, visit Sheller.com. 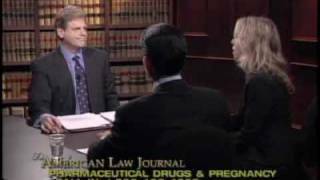 Attorney Jamie Sheller, local counsel in the $2.5 million Paxil birth defect case, discusses how her client's son was born with birth defects that doctors attribute to Paxil. 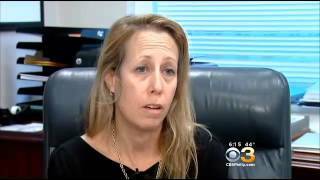 The "failure to warn" case decided in Philadelphia is the first of its kind in the nation; Sheller says she expects nearly 1000 more cases to be filed in coming months. For more information, visit www.Sheller.com. 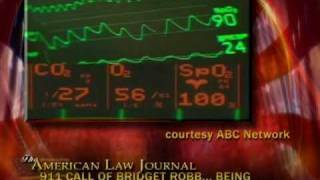 Bridget Robb was shocked during her 911 call by a defective defibrillator. She is currently preempted from bringing a lawsuit although the product had been recalled. For more information on Sheller, P.C., visit www.sheller.com. Atty. 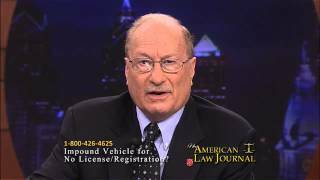 Stephen Sheller discusses the class action against Philadelphia's Live Stop program on The American Law Journal. For more information, visit Sheller.com. What changes will occur now that Obama is in power? How will the FDA change under the Obama administration? For more information on Sheller, P.C., visit www.sheller.com. UPDATE: Sheller, P.C. has now been the law firm of record coordinating with the U.S. Department of Justice in reaching more than $6.4 billion in whistleblower settlements in the last seven years. Diagnosis of bipolar disorder is up 4000% in the last ten years, and a recent medical report from Ohio has caused alarm: a girl, diagnosed with bipolar disorder at the age of two, had been prescribed antipsychotic drugs before her fourth birthday. Have bipolar diagnoses and antipsychotic prescriptions for children gotten out of control? For more information on Sheller, P.C., visit www.sheller.com. Diana Levine lost her hand to gangrene when she was injected with Phenergan, an anti-nausea drug made by Wyeth Pharmaceuticals. She won a jury verdict in Vermont, under the notion that Wyeth had inadequately labeled the drug. If a drug meets the labeling requirements of the FDA, does that give rise to federal preemption of state law regarding inadequate labeling? For more information on Sheller, P.C., visit www.sheller.com. Just to what extent is the FDA involved in the testing and approval of drugs? 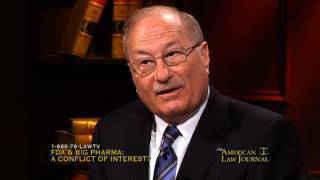 Is the FDA on the side of the drug companies or the consumers? For more information on Sheller, P.C., visit www.sheller.com. 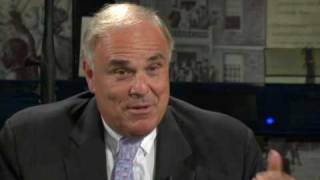 Steve Sheller of Sheller, P.C., Pennsylvania Governor Ed Rendell and Dr. J. Bret DeLone of the Politically Active Physicians Association discuss the medical malpractice crisis on location at Philadelphia's National Constitution Center. Atty. Christopher Naughton hosts. For more information on Sheller, P.C., visit www.sheller.com. 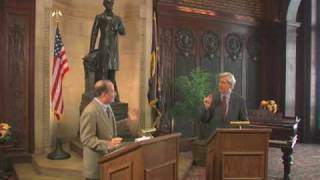 In this You Decide Debate from Philadelphia's Union League, plaintiff's counsel Steve Sheller of Sheller, P.C., challenges Robert Heim of Dechert, LLP, representing tobacco companies, as to the merit and viability of light tobacco class action lawsuits. For more information on Sheller, P.C., visit www.sheller.com. 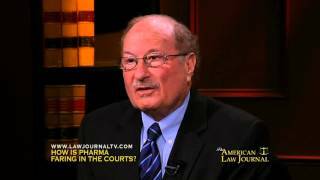 How to properly regulate Pharmaceutical Companies? Can the FDA be helpful in these matters or are they more interested in the drug corporations than the consumer? For more information on Sheller, P.C., visit www.sheller.com. Has the Food and Drug Administration (FDA) become little more than a rubber stamp for pharmaceutical companies or will new changes provide a check and balance on the industry? According to a Washington Post assessment of a recent study, "the federal system for approving and regulating drugs is in serious disrepair, and a host of dramatic changes are needed to fix the problem." For more information on Sheller, P.C., visit www.sheller.com. Steve Sheller of Sheller, P.C. comments on the dire need of checks and balances at the federal level. For more information on Sheller, P.C., visit www.sheller.com. 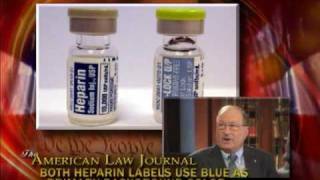 Is Baxter, the pharmaceutical giant responsible for the drug Heparin, at fault for not detailing more accurately different vials of Heparin? Is the FDA at fault? 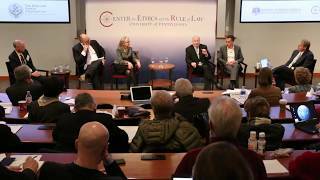 Should there be tighter regulation? For more information on Sheller, P.C., visit www.sheller.com. 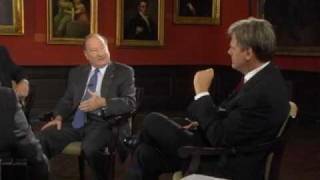 Steve Sheller discusses the abuses of power of the presidency under George W. Bush. Do checks and balances need to be restored? For more information on Sheller, P.C., visit www.sheller.com. UPDATE: Sheller, P.C. has now been the law firm of record coordinating with the U.S. Department of Justice in reaching more than $6.4 billion in whistleblower settlements in the last seven years. Increasingly, doctors are prescribing antipsychotic drugs for bipolar and Attention Deficit Disorder diagnoses in youths. Recently the FDA approved the antipsychotic drug Risperdal for kids. 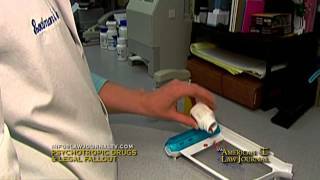 If a child suffers adverse effects as a result of these prescriptions, will plaintiffs' attorneys prevail? 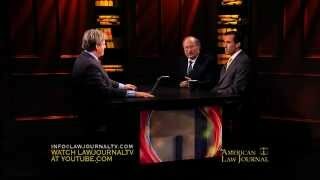 Or do recent developments in the law provide greater "cover" to potential defendants? For more information on Sheller, P.C., visit www.sheller.com. Atty. Stephen Sheller of Sheller, P.C. comments on who should be held responsible for bad corporate behavior. For more information, visit Sheller.com. UPDATE: Sheller, P.C. has now been the law firm of record coordinating with the U.S. Department of Justice in reaching more than $6.4 billion in whistleblower settlements in the last seven years. Atty. 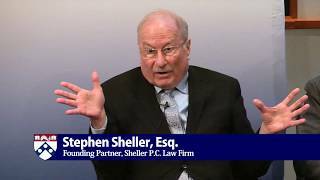 Stephen Sheller of Sheller, P.C. 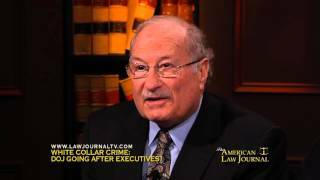 comments on corporate executives going to jail in addition to the enormous settlements in defective drug cases. For more information, visit Sheller.com. UPDATE: Sheller, P.C. has now been the law firm of record coordinating with the U.S. Department of Justice in reaching more than $6.4 billion in whistleblower settlements in the last seven years. Atty. Stephen Sheller of Sheller, P.C. comments on misconduct alleged in the Department of Justice investigations against Shire Pharmaceuticals for Adderall® & Vyvanse® and settlements reached, based on the Sheller, P.C. whistleblower's claim. For more information, visit Sheller.com. Atty. 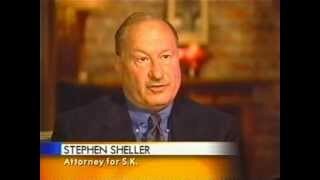 Stephen Sheller of Sheller, P.C. predicts that science and technology will bring back some dangerous drug cases on Big Pharma. For more information, visit Sheller.com. UPDATE: Sheller, P.C. has now been the law firm of record coordinating with the U.S. Department of Justice in reaching more than $6.4 billion in whistleblower settlements in the last seven years. Atty. Stephen Sheller of Sheller, P.C. 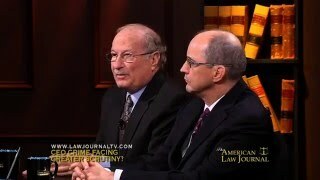 comments on the need for the Department of Justice to work with the prosecutors in whistleblower cases. For more information, visit Sheller.com. UPDATE: Sheller, P.C. 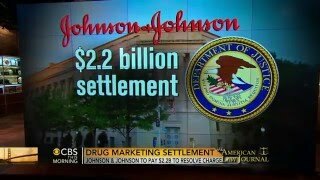 has now been the law firm of record coordinating with the U.S. Department of Justice in reaching more than $6.4 billion in pharmaceutical whistleblower settlements in the last seven years. Atty. Stephen Sheller of Sheller, P.C. comments on the safety defects that have resulted in loss of life for owners of General Motors, GM, vehicles. For more information, visit Sheller.com. UPDATE: Sheller, P.C. has now been the law firm of record coordinating with the U.S. Department of Justice in reaching more than $6.4 billion in whistleblower settlements in the last seven years. Atty. Stephen Sheller of Sheller, P.C. 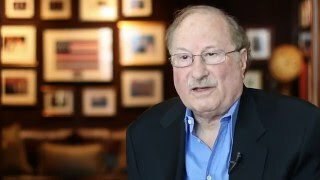 comments on the executives in the tobacco industry not doing any jail time for "lite" tobacco fraud, much like the big pharma cases today. For more information, visit Sheller.com. 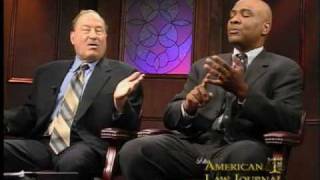 Insider Exclusive Host and Executive Producer Steve Murphy interviews Stephen A. Sheller, Founding Partner of Sheller, P.C., who successfully devised an ingenious theory to go after the tobacco companies, claiming that the cigarette companies knowingly defrauded consumers and sought an injunction regarding "light" or low tar and nicotine cigarettes.